Dr McKinnon's essay, 'Who Killed Matilda', on indigenous health, religion and social progress, was joint winner of the 2011 Calibre Prize and was published in the Australian Book Review. 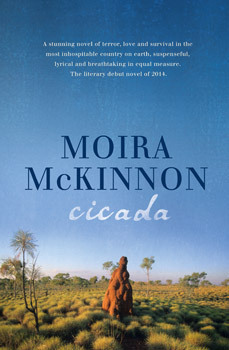 Cicada is Moira's first novel. She currently lives in Canberra with her husband and two children.